There seems to be a lot of fake news around. Fake news exists when people use emotional reasoning. Emotional reasoning is a cognitive process by which a person concludes that his/her emotional reaction proves something is true, regardless of the observed evidence. Emotional reasoning can be like fake news – we believe it because we read it or even think it. An example is – “my partner is losing interest in me because they are spending a longer time then usual reading the newspaper at breakfast” to concluding “He must be having an affair”. It would be important to see if the person having these thoughts about their partner also has them at other times too and in other relationships. Whether the person the thoughts are being directed at, does have a history of affairs. Or whether the news in the paper may actually be particularly interesting today. So many other thoughts are possible. But if the thought is untrue and the actions of the person thinking it are not in line with what is really going on – life can be one big upside down bubble. If the thought is untrue and the actions of the person thinking are based on the untruth; then it is very possible for the reactions and behaviors of the person thinking them to then be dysfunctional unhealthy responses. The person could break-up even though there is nothing to substantiate the thought. But this ‘fake-news’ confirms that their own paranoia and beliefs must be true. So many other thoughts are possible. Not everyone has affairs. Most do not. Most are too busy to earn a living and make it from day to day. But fake-news and fake thoughts really camouflage what is really going on. I tend to make sure to see the source of the news I read. To look at established papers and then to question what I do read. Fake news and fake thoughts can camouflage what is really going on. I tend to make sure to see the source of the news I read. To look at established papers and then to question what I do read. In the same way, I also filter and vet my own thoughts too. Life is complicated enough with real thoughts let alone fake thoughts also coming into the equation. I wish you a Happy New Year with real news and really useful thoughts……. What times we live in. So much has changed. So much has happened. In a time of change what can you do to minimize the upset? The trauma of it all? Does it have to be dark? We have Brexit and not Bremain. Changes are going on. A completely unexpected change. Or is there? Is there really going to be change? I often find people do not like change. Do not like movement and usually do all they can to avoid it. We often hope others can change but not ourselves. The thing is we often have to change. Change ourselves, change how we respond, change what we do. Whether we like it or not; we are changing all the time and those around us are also changing too. Every second of every day we are changing, aging, moving. There is nothing we can do to stop it no matter how much we may try. Before Brexit, I would ask clients to imagine Brexit actually happening. The unimaginable. Then to imagine themselves being OK. The world not ending. Them adapting and then being able to manage. The world not exploding into riots and currency not being devalued so much that pound notes would need to be carried on wheel barrows in order to buy a loaf of bread. The thing is to go to the place in your head you do not want to go to….and then go. It is amazing what you can imagine if you want to. Then imagine managing. The world still going on. You being OK. The world being OK. Usually the worse we imagine is not as bad as others tell us it will be. Fear usually drives many of our decisions. Going to the fear can free us. One of the biggest elections we have ever had in the UK will be today. Its not just an every four year general election. It is something that decides whether we are to remain or leave Europe. I have not yet seen cogent, coherent argument by any one side as to whether to stay or leave. So many people are undecided. It has been very odd. Usually people know what party to vote for in an election. This one seems very different. I wonder if it has been because of all the emotions being thrown around. It certainly brought alot of emotions up to the fore. I have put some of the adverts that have been around during the pre-election period. There was the Farage poster of the queue of immigrants which brought up alot of vitriol. Some like the “Wipe the smile off their faces” made me smile….. Such an election brings up separation anxiety. Some find it hard to separate under any circumstances. Some find it hard to form relationships and find it hard to stay in committed relationships.To stay or leave? To commit further or to separate. Both seem very difficult. The point is to work out whether it really is a separation or if the relationship is worth committing to. Various people have said it is important to stay or leave. This has been a referendum without clear policies and statements as to what advantages or disadvantages really come from leaving or staying in Europe. Then as in all CBT sessions it also comes down to emotions. What decision leaves you with the least distress? What are you more able to live in the long-term with? What do you notice yourself personally leaning towards? Not what the posters say. Not what personalities say. As they do not give a full picture. Its sound bites and snippets. What sits best with you and your own personal worldview. Then you have an idea where of where your vote will lie. Then mark the ‘X’. Has the Greek wedding turned into a Funeral? Remember the last time there was a financial crisis? Well there have been many in the last few decades. The Asian crisis in 1998, There was 2007 then 2008. There was Lehman Brothers, Northern rock and the queues around the block to withdraw money from a feared collapse of one bank and then many others. Some thought we were hours from doom. If you were to visit Greece a few years ago you would have felt money was all around you, now it seems to have seeped away. Often when we are in a crisis, we forget that we have managed to survive at other points in our lives. At present there is the fear of the contagion of the Greek crisis in Europe and the world. The….What if? What if? 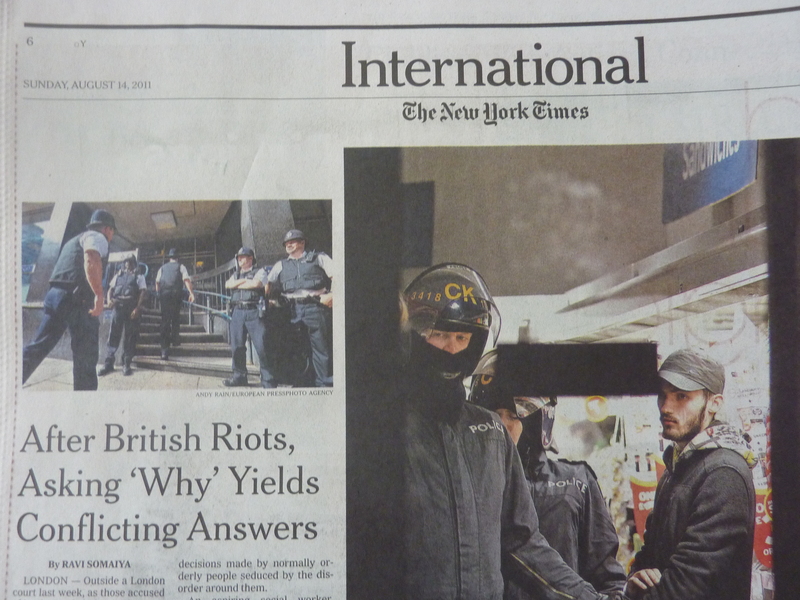 Questions seem to go on in the newspapers and the financial markets. What if questions are anxiety filled. So much is driven by emotions, even the very markets which are meant to be about logic seems to be foaming at the mouth with fear at the moment. At these times it is best to stay still, stay tight and not make any rash decisions. 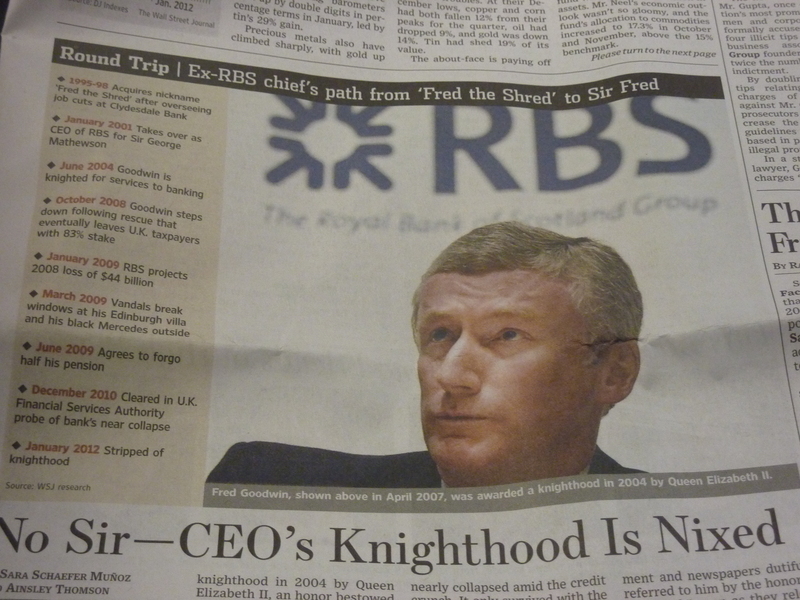 Fred Goodwin and his fall from Grace; what shall we do with our own falls? I was just reading about Fred Goodwin’s Knighthood. It is not withdrawn or taken away. A knighthood is stripped. It sounds like slowly ripping off masking tape, bit by bit from raw skin. His career was one of an exceptional rise and fall. He was like Moses to his staff and had, I still think still has such power. Some people really seem to be born with it. The point of this post really is to write about the falls from grace we can have. We all have them. Every one of us has had a fall or some sort. The Euro, Ireland, Greece, Italy, and the continuing Co-dependency issue. There has been much on the news about the Euro. 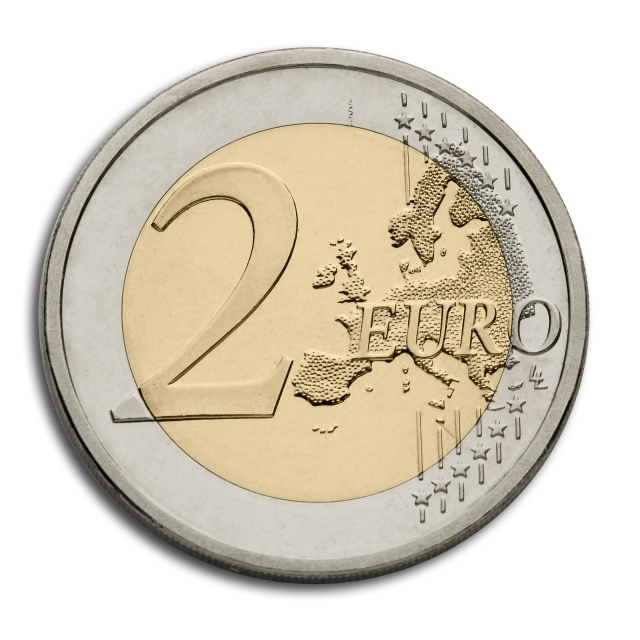 The euro is a central and common currency of member states in the European union. A lot has been going on about it because it seems certain states within the union have not been keeping to budgets and have been spending far more then they have. I often see parallels in the psyche and behavior and the outside political and economic world. We are after all only people, whether we are presidents, prime-ministers and royalty. We all are under the same sky and all learn behaviours from our parents and family. Riots occurred only 500 yards away from where I live. Just behind my home crowds of youths ran into a dead end road and burnt a car. Nearby more cars were burnt. Ealing is usually a very quiet leafy green surburban area and I decided to explore as to why riots may have happened here. It seems there are many possibilities open as to why the riots occurred. Ten competing arguments on the BBC site are used to explain why the riots occurred. The reasons given have ranged from welfare dependence, social exclusion, lack of fathers, spending cuts, racism, weak policing, gangsta rap and culture, consumerism, opportunitism and technology and social networking. Are there more reasons? I heard of entitlement being a possible reason or even astrology and mercury being retrograde. Maybe more will come to your mind. The point is though, we all choose our reasons and what we choose is also based on our beliefs and perceptions we can take. Looking at things from a statistical perspective, research from the Guardian newspaper has a different perspective and showed that of around 1,000 cases going through the magistrates courts, just 8.6% of defendants have jobs or are students. This then would lead to different opinions and thoughts on the matter.